For some time now we have been tossing around the idea of starting another shop and blog. At first it was going to be a Brick and Mortar shop but we thought it would be best to start on line first ....especially with the tone of the economy. A lot of overhead is involved in a high end flower shop! This week we went live with a brand new Etsy shop and blog. Granted it is bare-bones at the moment, we will be listing several more items in the next few days. Our focus is going to be special events and weddings and most of the frills that go with them. Botanico & Company offers complete Bridal party packages,including bouquets,bouts,and decor. 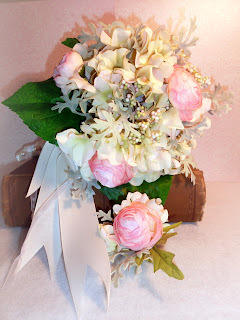 Using silk and preserved flowers combined with wonderful vintage finds makes unique one-of-a-kind treasures. Many pieces are made and ready to ship...but special orders are more than welcome. Please head over to our new blog and shop to see what all the excitement is about! We are looking forward to working with our customers to take the stress out and put the ease in your upcoming events. Thank you for stopping by and please leave us feedback and ideas so we can better serve. This past Saturday was a day to remember. 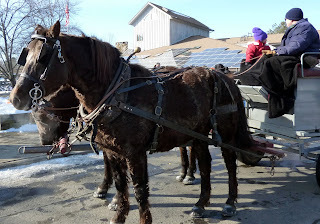 My son, daughter in law, granddaughter and I all spent the day at the Jamestown(NY) Audubon Snowflake Festival. The day was perfect except for the windchill, which made it hard to have our toddler out for any length of time...but we kept dodging into the buildings to get warm. This was made for the kid in all of us. So many fun things to do for young and old. The festival is just one of many things the Audubon offers the public...it's one of my favorite places to go birding. Here is just a peek of a few things we did. 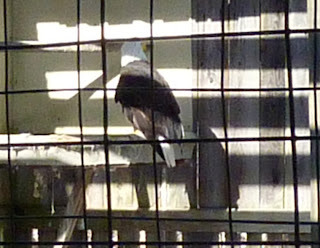 This is Liberty, a non-releasable Bald Eagle that has a home at the Audubon...she really is a beauty! 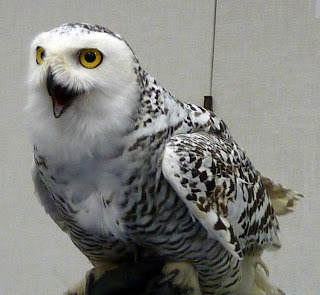 This beautiful Snowy Owl is a female that can not be released. She is used for education. 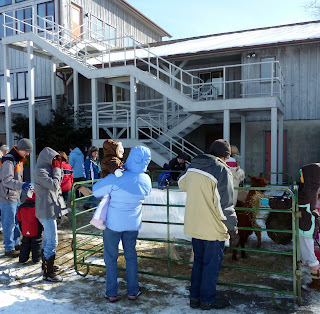 We enjoyed our ride around the Audubon thanks to our wonderful "horsey" friends. I think this was Adriana's favorite part. ......THE SMART WAY TO WEAR A SCARF! I have to admit this is probably one of the easiest items to use on your dog and cat. 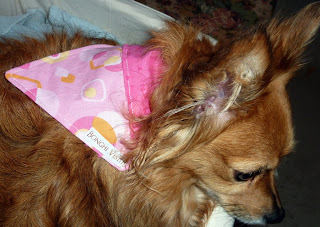 I never really cared for the tie bandanas simply because of the knot and my little dog would always chew on the ends. I make these so the collar slips through the channel and fits neatly around the neck. 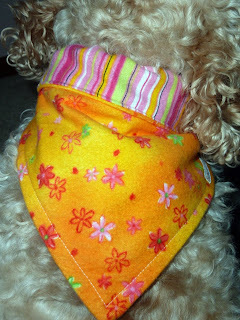 I make them out of cotton and flannel cotton,they wash nicely and are reversible. I make them in 4 different sizes starting with x-small which are great for cats(I put a little jingle bell on the cat scollars), puppies and tea-cup and very small dogs. If you want a custom one just message me through my Etsy shop where you can find more information. 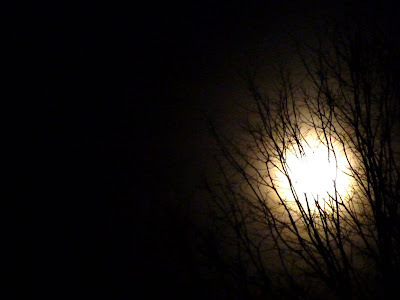 I just had to share this beautiful pic of the full moon that graced our world the past couple nights. You could actually see the pink ring around it waiting for the snow. The temp outside was like -10 with the windchill, but I just had to go out and snap this...just to beautiful to let go by! A little break from winter comes about this time every year, we refer to it as "The January Thaw". Some years it's a bit more than others but still a welcome tradition. It usually comes about the same time as the seed catalogs and the days are starting to get a little bit longer. Personally I think God does this just to tease us because it only takes a day or two for reality to sink back in. The forecast for tomorrow is snow and in the teens but it was nice to see just a little peek of green,even though it is tainted with brown. The sky is a stark reminder that winter is still with us even though our thoughts try to evade it. Finally got around listing something else in my Zibbet shop! 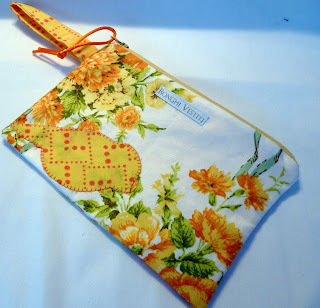 My SWEET TWEET wristlets have been so popular in the past in my Etsy shop I decided to try them in Zibbet. 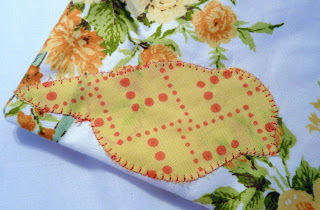 I am going to make up more today...some with appliques and some with painted birds...and in several different sizes...either way they are cute. 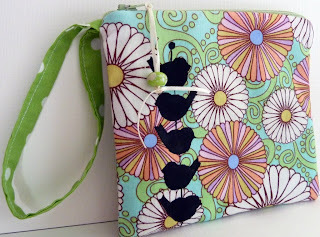 I love wristlets to keep all the "little things" that get lost in the bottom of the purse, or to use alone. I try to make them out of vintage fabrics when I have it.... even zippers are upcycled ...no 2 are alike which makes them even more special. I do offer these little cuties wholesale if you are interested for your shop.